"They all play and snuggle together." 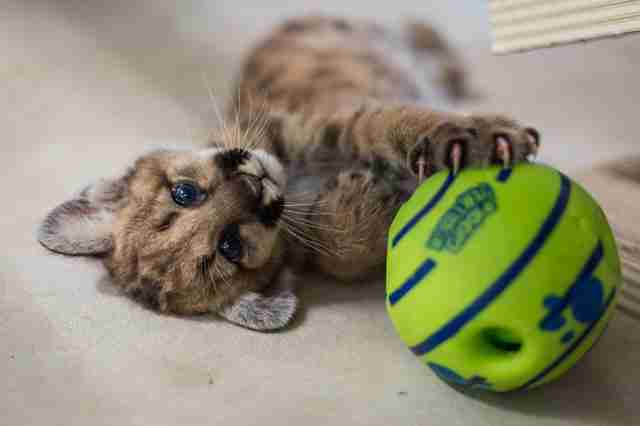 They're lean, mean (not really) and ready to play - and they're also In-Sync Exotics Wildlife Rescue and Education Center's newest wildcats. 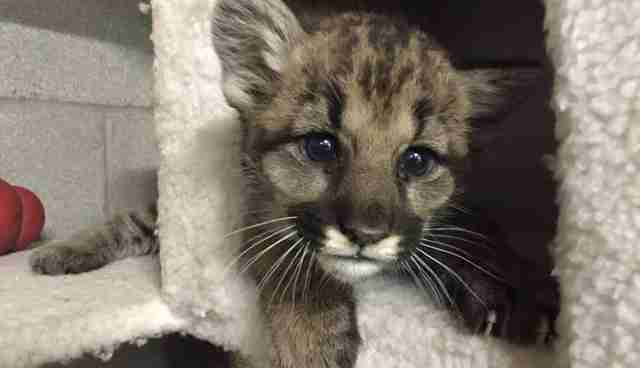 "We were contacted by Washington's Department of Fish and Wildlife (WDFW) asking if we had room for three orphaned cougar cubs," Angela Culver, media director at the Texas rescue, told The Dodo. 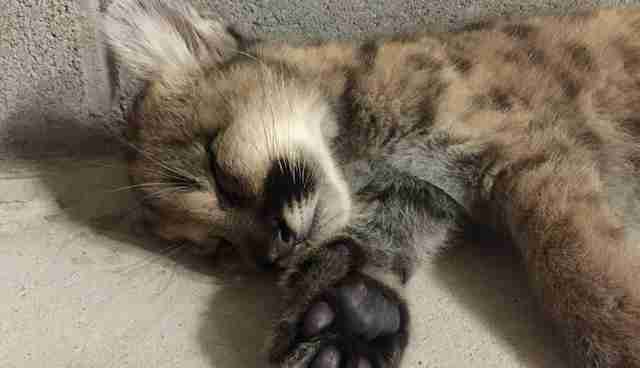 WDFW contacted three sanctuaries in total asking them to rehome the kittens, and In-Sync Exotics was the first to respond and make arrangements to pick them up. The three cougar cubs had been reported as orphans wandering on their own without a parent in sight - but WDFW didn't take those reports at face value. 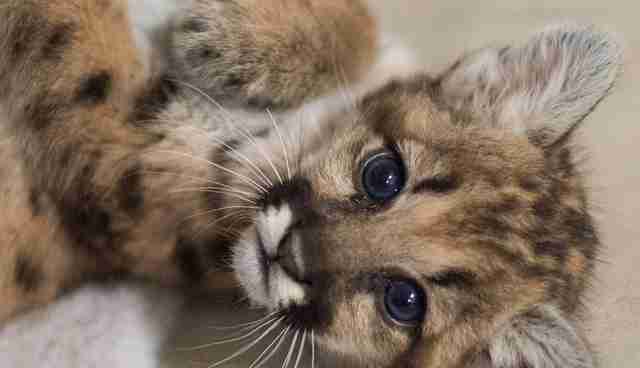 Passersby often believe wild baby animals have been orphaned, when, in fact, the mother is off hunting or defending her territory, Culver said. 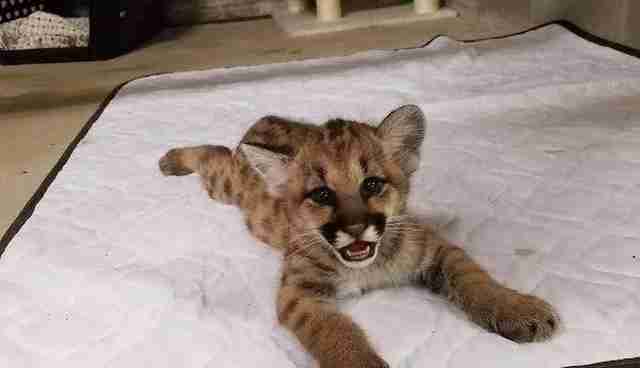 Officials monitored the three cougar cubs for several days to make sure that they would not be pulling the cubs away from their mother prematurely. 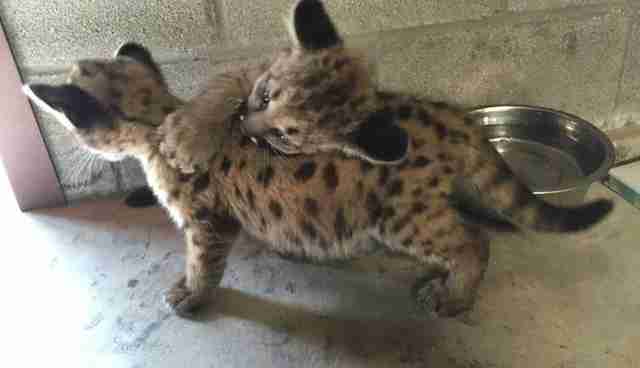 "After several days, she still hadn't returned, so the department went in and rescued the cubs by hand," Culver said. "Unfortunately, we have no idea what happened to their mother." 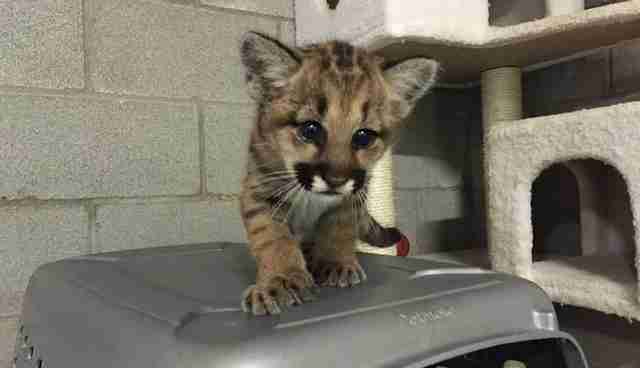 A few days after the three cougar cubs were picked up, a fourth slightly older cub appeared, also parentless, near an area where a forest fire had occurred. 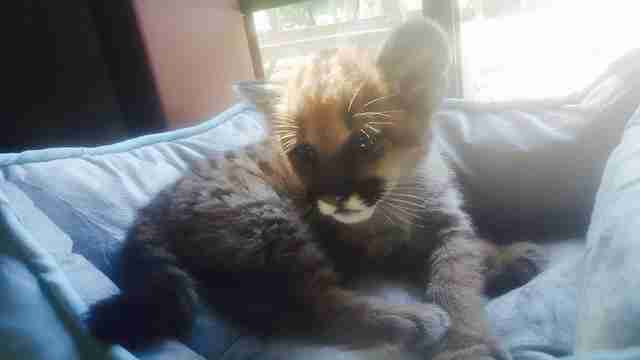 In-Sync exotics agreed to take in the fourth kitten as well. But only after all methods of returning them to the wild were exhausted. "We tried to find a facility that could rehabilitate the cubs so that they could be released back into the wild, but the very few places we found who had even attempted it had such low success rates we felt that their chances of surviving after release were pretty slim at best," Culver said. 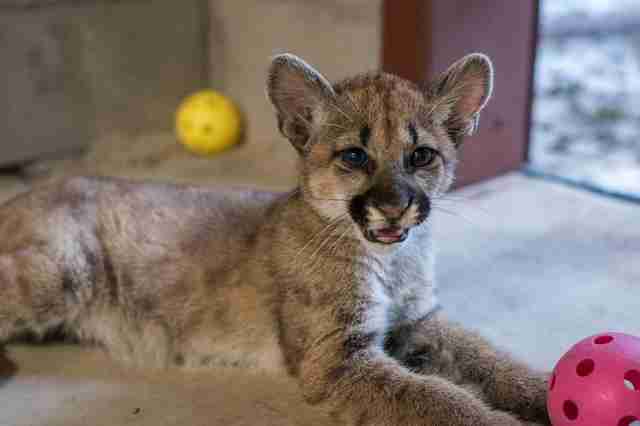 After a veterinarian gave the cougar kittens an initial checkup and a clean bill of health, all four were taken to Texas - and to their new lives at the sanctuary. 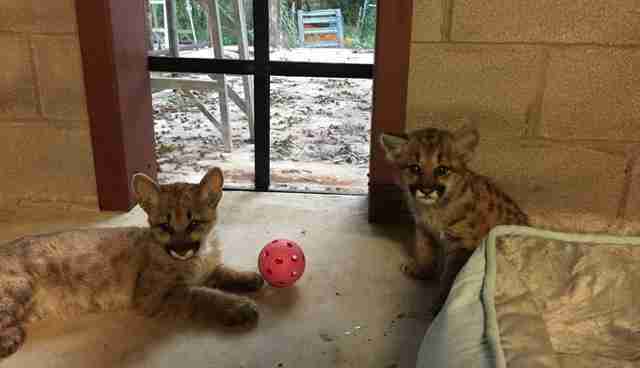 Currently, the cougars are housed in the sanctuary's on-site vet clinic for a mandatory 30-day quarantine period. After that period ends, they'll be moved an outdoor enclosure with a playground area that will allow them plenty of room to run, play, climb and sunbathe. 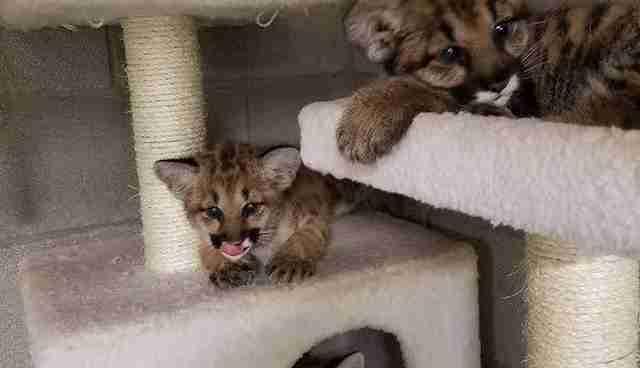 "Though only three of the cubs are siblings, they have accepted the older, unrelated female as a sister," Culver said. "They all play and snuggle together, and are settling in quite well. 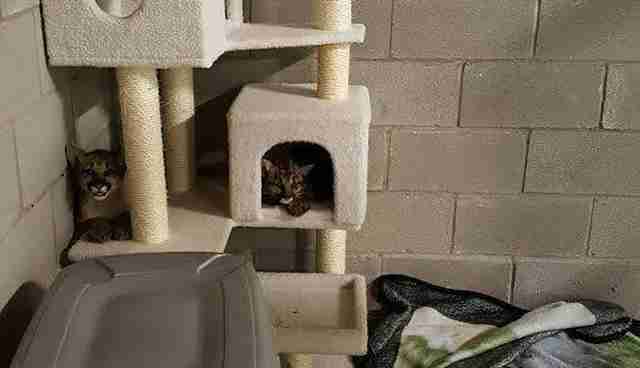 "We do not have exact ages on them, but they all still have their spots, which begin to fade at 12 to14 weeks. 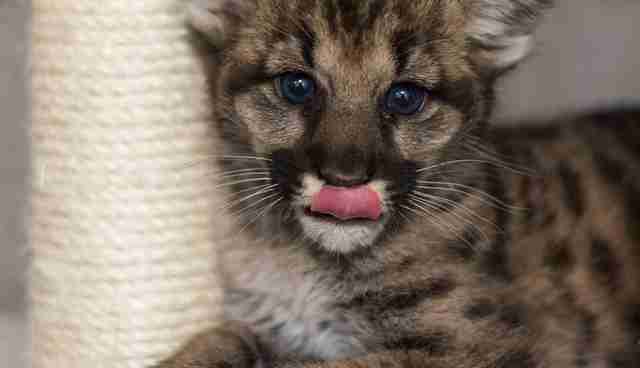 They are on solid food and especially love chewing on bones just like their mother would've taught them to do in the wild," Culver continued. The sole male, Outlaw, is the curious, outgoing one of the bunch. Sage is the lightest in color and, while more reserved than Outlaw, she loves getting in some playtime with her brother. Scarlett, who's darker in color, is sweet but also the shyest, Culver said. As for the older female cub, Malice - she's feisty but loves to settle down and curl up with her two adopted sisters come nap time. Although these baby wildcats have lost their mothers, they now have each other to grow up with and depend on for fun, comfort and everything in between, for the rest of their lives. 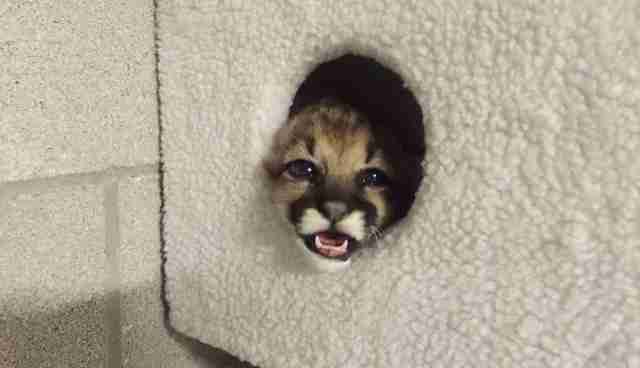 Want to help In-Sync Exotics continue doing good work for big cats in need? Consider "adopting" a cat or making a donation here.